When Pope Benedict XV (1854-1922) canonised St Oliver Plunkett, the last Irish Catholic to be executed in England, he also instituted the Feast of All the Saints of Ireland. The official Litany of Irish Saints commemorates sixty-five of the best known, among them St Patrick and St Bridget. Perhaps the less well known include greats like St Darerca and St Crea. 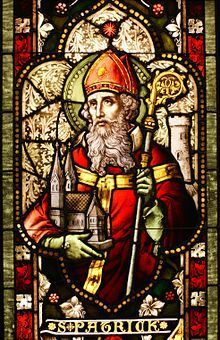 However, there are many hundreds of other Irish Saints, most having lived during the 4th – 6th Centuries which led to Ireland being named, “The Land of Saints and Scholars”. Christianity spread to Ireland in the 4th Century and since then, Irish Missionaries have travelled throughout the world preaching the faith in the same spirit as the Apostles. The Feast Day of All the Saints of Ireland is the 6th November.